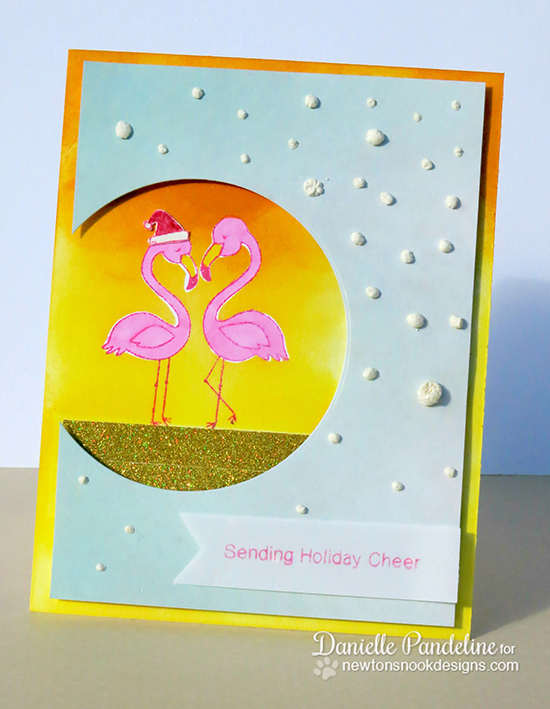 Here is a fun way to create a tropical Holiday card by Danielle! Danielle used our cute litte flamingo couple from the Flirty Flamingos stamp set and then added in the little santa hat from the Flaky Family stamp set! What a fun way to make a Christmas card for someone who has more of a "tropical" holiday. She did add a bit of fun snow in too- so it's a fun mix of both! You can head over to Danielle's blog Girl Racer Scrap to say hello and see what else she's been creating! You can also subscribe to her youtube channel Girl Racer Photo to see her fun videos too! Enter our Inky Paws challenge - Christmas Theme! 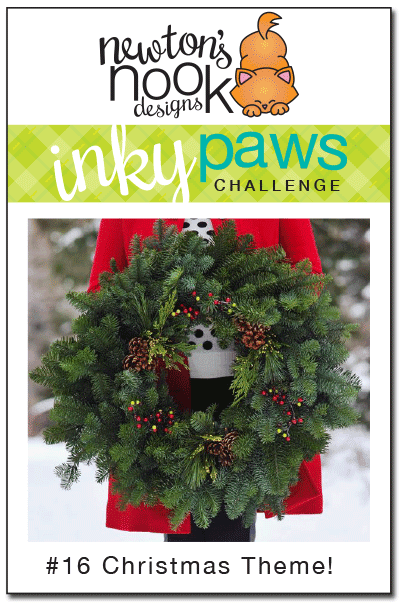 YOU still have util FRIDAY, December 12th to enter our current Inky Paws Challenge! Just create a card or project with a Christmas theme using NND products! The winners of this challenge will get a $10 gift card to our shop! You can view full details and link up your card to our Inky Paws Challenge on this post. oh my goodness - so cool!!!! LOOOOOOOVE this idea!!!!! eee! Soo sweet! What a cute way of incorporating a non holiday stamp set! Love it. Flamingos with Santa hats...only too clever! What a wonderful way to 'stretch' stamps! Happy New Year card by Samantha Mann! Thank you Card and Farewell to Tessa Wise! Heartfelt Snowman card by Larissa Heskett! Meowy Christmas Kitty Card by Taheerah! Happy Howl-idays by Crafty Math-Chick! Inky Paws Challenge #16 WINNERS!